A TRUE HONOR! 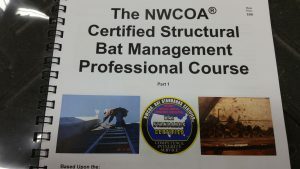 NWCOA is the Wildlife Control Industry’s #1 Association and Education Provider. 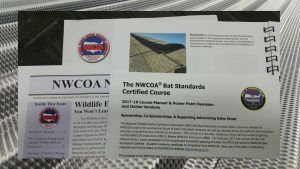 As a National Organization NWCOA has provided TOP NOTCH certifications that are accepted as Industry Standards. 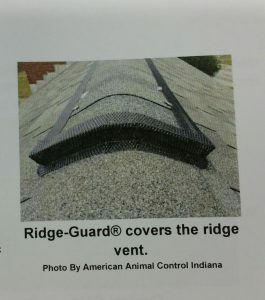 Recently The ORIGINAL RIDGE-GUARD® was recognized in the National Bat Standards Professional Training Course as a product to be used for bat exclusions on roof ridge vents. A special thanks to the ENTIRE staff at NWCOA for acknowledgements and allowing us to serve the Nuisance Wildlife Control Industry as well as the Pest Control Service Industry. 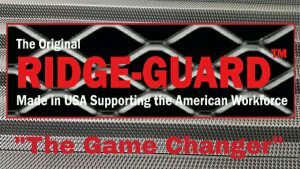 From the staff at RIDGE-GUARD® we thank you and promise to serve our customers and industry with sincere INTEGRITY.